Chancellor Tom George laid out an ambitious plan for growth and achievement at the University of Missouri–St. 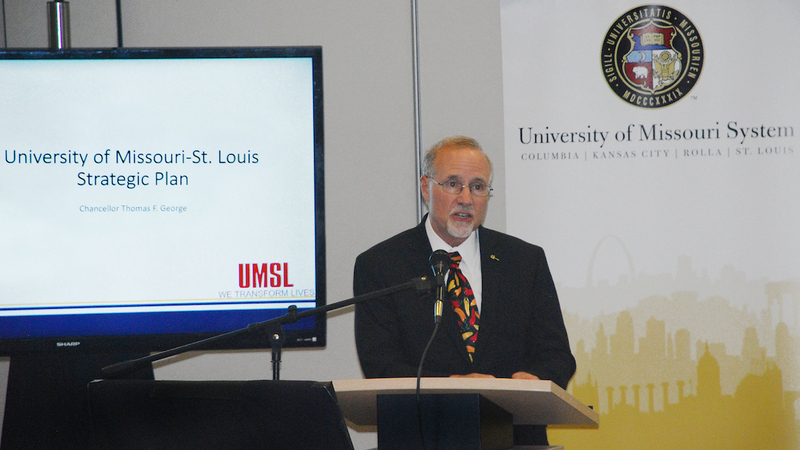 Louis over the next five years as he addressed the Curators of the University of Missouri System at a meeting Thursday in Kansas City, Missouri. With the board voting its approval, it is now time for UMSL to begin implementing that strategic plan and shaping its future through 2023 and beyond.